1. 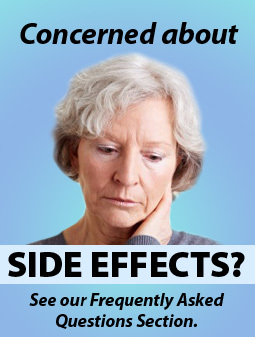 What Are Side Effects? 2. What does this medicine do? 3. Can I drive safely if taking medicine? 4. What if I am pregnant or likely to get pregnant? 5. Can I breastfeed if taking medicine? 6. Does food affect medicine? 7. Can I drink alcohol while taking medicine? 8. How should medicine be stored? 9. Will it cause problems with other medicines? 10. Will other health problems affect this medicine? 11. What does the medicine look like? 12. What if I take too much medicine/overdose? 13. What is a generic medicine? Med+info leaflets always list the pregnancy category in section 6 and in section 3 under Pregnancy we list a brief easy to read description of the appropriate action to take based on the Australian technical Pregnancy category description as listed below. The Pregnancy category of a medicine is a measure of the risk of injury to the unborn child caused by a medicine when it is used following the pregnancy advice for the medicine. Medicine manufacturers have specific pregnancy information listed on their medicine information data sheets. However, in order to obtain a general consistency in pregnancy information the United States Food and Drug Administration (FDA) introduced in 1979 a series of categories that rated medicines in terms of their safety during pregnancy. Sweden, Germany and Australia followed with a similar category system. The pregnancy categories are based on reliable evidence based information. However trials on pregnant women and medicines can?t be carried out, and trials with animals do not necessarily reflect the human situation. For this and other reasons the pregnancy categories must be interpreted by health professionals who are able to assess the risk and benefit of a given medicine for a patient. The categories do provide a useful reference for patients when discussing the risks and benefits of their medicine with their doctor. Always ask your pharmacist or doctor for advice if you have any concerns or need more information about pregnancy and your medicine. Medicines taken by large numbers of pregnant women and women of child-bearing age, with no proven increase in the frequency of defects or other direct or indirect harmful effects on the unborn child. Medicines taken by a limited number of pregnant women and women of child-bearing age, with no increase in the frequency of defects or other direct or indirect harmful effects on the unborn child. Studies in animals have shown no increased damage to the unborn animal. Medicines taken by a limited number of pregnant women and women of child-bearing age, with no increase in the frequency of defects or other direct or indirect harmful effects on the unborn child. Studies in animals are inadequate but there is no evidence of increased damage to the unborn animal. Medicines taken by a limited number of pregnant women and women of child-bearing age, that show no increase in the frequency of defects or other direct or indirect harmful effects on the unborn child. Studies in animals show evidence of increased damage to the unborn child, the significance of this for humans is uncertain. Medicines that have caused or may be suspected of causing, harmful effects on the unborn or new born child but have not caused any defects. These effects may be reversible. Medicines that have caused, suspected or expected to cause increased defects or irreversible damage to the unborn child. These medicines may also have harmful effects on the new-born child. Medicines having such a high risk of causing permanent damage to the unborn child that they shouldnot be used in pregnancy or when pregnancy is a possibility. In addition to the above there are other factors a doctor will consider when deciding on which medicine to be recommended for a patient. These factors could include: health condition, other medicines being taken, age, ethnicity, body mass and other risk factors. For a few medicines the official Pregnancy category has not yet been established as there is not sufficient robust information for a pregnancy category to be defined. However, there is generally enough evidenced based information available to enable doctors and pharmacists to inform patients of the pregnancy risks and benefits and if necessary advise a suitable alternative medicine.